Some people will tell you that it makes absolutely no difference what time of day you train. The claim is that the end result will be the same whether you train at 7:00 a.m. or 7:00 p.m. Then again, there are other people who say that it is better to workout in the morning or vice versa. While the verdict is still out on that debate, there are many benefits to training first thing in the morning. Before you can start to second guess your “what seemed like a good idea the day before” early alarm, get yourself out of bed. You will have no time to think about what awaits you and your mind will still be too groggy to talk you into staying in bed. After putting in the effort to give it my all in the morning, I want to make it count so I try my hardest to eat healthy throughout the day. There’s no point in losing that hour of sleep if I’m just going to throw it away on some lousy piece of cake that isn’t worth it later in the day! 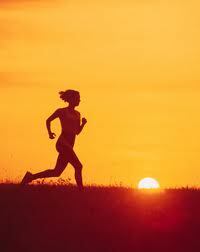 Working out in the morning will boost your metabolism, therefore allowing you to burn more calories throughout the day. If you don’t eat before your workout, you are more likely to be burning fat for energy! If you save your workout until later in the day you are more likely to have something come up; lets be honest, wouldn’t you pick going to dinner with a friend over going to the gym? Most of your friends will still be asleep at this hour, and you are free to dedicate your full focus on your workout. And feel better about working late. People who exercise regularly report feeling more empowered and all around better about their work-life balance. Studies show that eating breakfast inspires people to make better choices all day. Your skin will naturally glow.